Upgrade your home’s curb appeal and energy efficiency with custom windows and doors in Durham Region from Luke’s Windows & Doors. We install high quality, custom-made products that are manufactured locally by KV Custom Windows and Doors. We have more than 40 years of experience to offer and we’re confident we’ll impress you with a job well done. You can lower your heating and cooling costs by about 10% with energy-efficient windows and doors. Luke’s Windows & Doors can retro-fit windows to existing frames or install new frames for a snug fit and maximum energy efficiency. We install windows and doors made by manufacturers known for their use of state-of-the-art insulating materials. We have selected these suppliers for the durability of their products – these doors and windows will keep their good looks without the need for annual repainting. 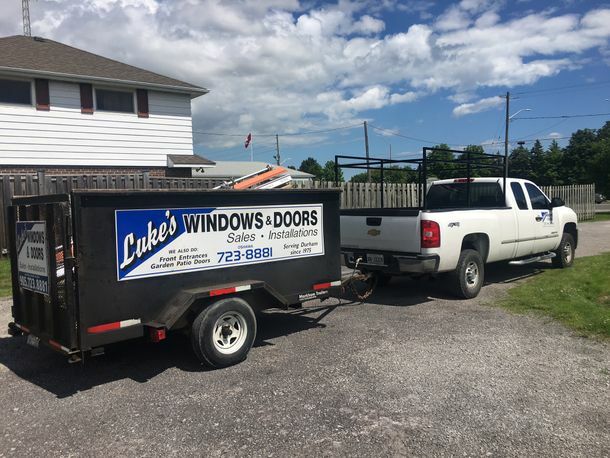 New windows and doors installed by Luke’s can make your home more comfortable and make it look great, inside and out. Windows and doors also provide a great return on investment, with upwards of 70% of their initial expense being added to the value of your house. Contact us for details on discounts for multiple windows.